The start of a new year serves as a fresh reminder of new opportunities to pursue goals. Now that we are a few weeks into 2018, we thought now would be a great time to talk career resolutions. As a young lawyer continuing to embark upon the adventure that is your career, have you made any resolutions when it comes to your career? 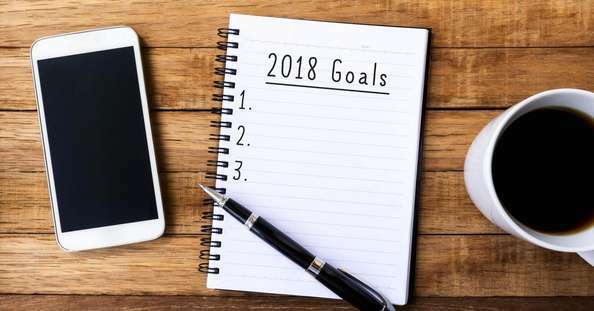 Whether you’re a newly-licensed lawyer seeking your first work opportunity or a young lawyer who’s been practicing for a while, here are some ideas that might be beneficial in helping to make 2018 a stellar career year. The role that a mentor plays in helping to shape a young lawyer’s career can be invaluable. Yet, with the crazy busy schedules and workload demands of being a lawyer these days, it’s easy for mentorship to become less and less of a priority. Do you have a mentor? If not, now is the perfect time for it. But how do you find a mentor? While there are formal programs through associations and other groups, they may not be able to provide exactly what you’re looking for. Something new is now available to lawyers that hasn’t been readily available before now: Project work. If you haven’t heard of or considered project work, you need to! Here’s why: Project work provides an ideal forum to get to know experienced lawyers in a totally natural setting by simply doing some work for them. In the process, you can get to know them and they can get to know you. Experienced lawyers can provide you with feedback about your work, teach you new things, and answer questions. Who knows, maybe that lawyer becomes a long-term mentor to you in your career. By this point in your career, you’ve probably realized that if you show your resume to three lawyers, you will more than likely get three different opinions about your resume. What’s cool about resumes is that they can consistently be improved. While there’s no one formula for a winning resume, effectively marketing yourself on your resume is essential. Spending just a little time to revamp your resume might just be the catalyst for getting more interviews or more project work jobs. Including relevant work experience, using effective wording, and keeping your resume up-to-date will help you get where you want to be. Here are two good ways to revamp your resume. First, obtaining new, relevant work experience to add to your resume is always a wining addition – and there is no easier way to obtain new work experience than with readily-accessible project work. Second: Use effective wording on your resume. Here’s a helpful question to ask when looking at your resume: Is each word on your resume THE absolute best descriptive word that you could use? If not, time for that thesaurus! Use words on your resume that evoke interest and sound compelling. Use bold words. Use creative words. Be persuasive. By spending just a little time revamping your resume, you put yourself in the best possible position to land more and more project work gigs, which is certainly well worth the time. It’s never too soon to start becoming an expert in a certain area. Specialization has become an increasingly popular trend among lawyers. As a young lawyer, now is the perfect time to start becoming an expert about something - and an easy way to do that is with project work. With traditional, permanent employment, many young lawyers (except those with their own firms) don’t have too much say in terms of the extent of their practices. So, when it comes to those lawyers becoming experts in a certain area, their options are limited. In stark contrast, project lawyers have abundant opportunities to selectively choose a certain area to begin developing an expertise in. That’s because, as a project lawyer, you get to pick each project that you want to work on. You pick the practice area. You pick the project with the responsibilities that you want to have. In doing so, you can gain a distinct advantage over other lawyers at your career level who lacked such flexible opportunities to selectively choose an area to develop an expertise in. Who knows, you may work on a project and realize you are really interested in a specific area you never considered! Talk about an easy way to start becoming an expert! Looking for legal work is challenging, especially as a young lawyer when work experience matters immensely. Whatever kind of work you’ve been looking for (project work, part-time, or full-time), the more work you’ve done, the easier job searching becomes. The difficult part is how to get that work experience when you don’t have much experience. For many, project work is the solution to this dilemma. Project work provides a tremendous opportunity to gain experience without all of the challenging obstacles inherent in the traditional job search process. What’s particularly great about project work is that whatever your long-term employment plans are (part-time, full-time, or project work), building-up your resume with project work can help you get there easier and quicker – because you have more experience to show from it. For young lawyers just starting their law careers: While looking for work early in their careers, young lawyers have to decide, to a certain extent, what practice area(s) they want their careers to focus on. That’s an important decision because it can affect, to a certain extent, future job opportunities – since the area(s) you start gaining experience in become the area(s) of experience that you have to show later. But maybe you’re not sure what practice area(s) you enjoy. Project work is a great solution for that dilemma for two reasons: 1) Project work allows you to tryout different practice areas without a long-term employment commitment; and 2) Project work allows you to establish the direction of your career in terms of practice area(s). If you want to start gaining experience in a certain area that maybe you currently have no experience in, simply look for a project in that area. And once you land that first project, finding the second can be even easier. For young lawyers with experience: Maybe you’re looking for a way to changeup the practice area(s) you’ve been working in so far. With traditional employment, that can be a challenging endeavor. However, project work offers unique opportunities to work in new practice areas. Having the ability to selectively choose the specific project (and thus practice area(s)) that you want to work in provides opportunities to direct or redirect your career path. As law firms continue to seek ways to reduce costs and increase efficiency, utilizing project work as a means to accomplish those objectives has gained traction. For a young lawyer, trying to find traditional employment opportunities to gain substantive legal experience can be difficult. And for those opportunities that exist, the competition can be tremendous. Given all of those factors, project work has emerged as a unique way for young lawyers to gain experience. With each project completed, a project lawyer gains that much more experience, which can really add up quickly. With more experience on that resume, landing future gigs and employment can be so much easier. So, if you’re looking for an outside- of-the-traditional-box kind of way to accelerate your career, project work might just be the answer.